We love helping people and we love property. They are 2 key passions of your team at the Provincial Group. Buying and selling property are two of the most significant decisions you’ll ever make. For many, it’s no walk in the park because there can be a lot of time, money, stress and effort involved. So, how can you do it better? 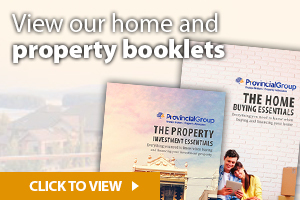 Easy – let your Provincial Group Property Advocacy specialists assist you. Your Provincial Group team are more than just property advisers. They have been buying and selling property for people for years. Our team also build their property portfolio as part of their step toward financial security. Although we are specialists in buying and selling property, most importantly, we are YOUR independent appointed representative providing peace of mind while guiding you through the property buying or selling processes. Our team of experienced property advocates will work with you to tailor a strategy and plan that works best to suit your needs, and feels right for you whether you are buying or selling. We assist in negotiating your purchase price when buying, to negotiating the agent’s commission when selling. We coordinate everything from handling the paperwork, bidding for you at auction, helping you style your property ready for sale AND even helping you with post settlement services like helping you move. No, we don’t actually pack the boxes for you, but we can coordinate the move and all of the associated activities on your behalf. Essentially, we manage the complete sale to settlement process, leaving YOU with MORE TIME and LESS STRESS. You can always be assured that your best interests are always of our prime concern. Our expertise allows you to alleviate most of the worry and hassle, and to move forward confidently with the knowledge you are on your way to successfully owning or selling, your next property and in some cases – both!